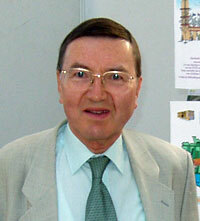 Born in 1946 in Belgium, Jacques Scornaux has got a Ph.D. in chemistry from the Brussels Free University. He has been active in ufology since 1971, when he joined the Belgian UFO group SOBEPS (Société Belge d’Etudes des Phénomènes Spatiaux), of which he has always been a member. He wrote many articles for SOBEPS magazine Inforespace, and later on for the French UFO magazines Lumières dans la Nuit and OVNI Présence, when he emigrated to France for working in an international organization. In 1976, he co-authored with Christiane Piens the book “A la recherche des OVNI”. In 1993, he was one of the co-authors of the collective book “OVNI – Vers une anthropologie d’un mythe contemporain”, edited by Thierry Pinvidic. His 1981 monograph about the new wave of French UFO skepticism (“Du monnerisme et de son bon usage”, Info-OVNI) was also published in Italian, and he co-signed a chapter in the international anthology “UFOs – 1947-1997″ (Evans, H. & Stacy, D., 1997). As a co-organizer of the international UFO meeting in Le Bugue (France, 1981) and SOBEPS European UFO Congress in Brussels (Belgium, 1988), he co-edited the proceedings of both. In recent years, his main ufological activity has been working with the organization called Sauvegarde et Conservation des Etudes et Archives Ufologiques (SCEAU, of which he is now president) to the preservation of ufological archives.